Why is the humble checklist such a powerful tool? Well, it helps you keep track of anything—step-by-step or even as a random to-do list. Also, it is so simple to create. If you love checklists, then you will like the news that it is just as easy to insert a checkbox (or a “tick box”) in Google Sheets. Until now, to insert a checkbox in Google Sheets, you had to use the CHAR function and a number associated with the special character resembling a checkbox. This older process is complicated for something as simple as a checkbox, so it’s good that you can now insert a checkbox from the toolbar. 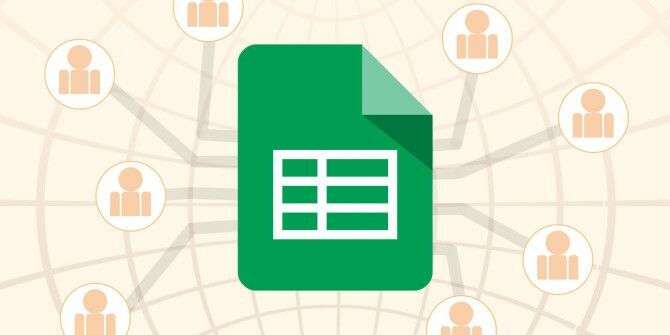 Log into Google Drive and open a spreadsheet in Google Sheets. Select the cells you want to have checkboxes in. You can also create your list first and then insert the checkbox by selecting the adjoining empty column of cells. From the menu, click Insert > Tick box. To remove checkboxes, select the checkboxes you want to remove and press Delete. You can increase or decrease the size of the checkboxes by changing the font size from the toolbar. Google Sheets also allows you to pass custom values with the checkboxes. For instance, a checked box could signal a “TRUE” while an unchecked box could be a “FALSE”. For instance, you could use this with a multiple choice Q&A. Follow these steps to validate the checkboxes with the custom values you want. Select the cells with the checkboxes. From the toolbar, go to Data > Data validation. In the data validation dialog, choose Tick box as the Criteria. Select Use custom cell values. Enter your custom value in the Ticked and Unticked fields. A tick box in a spreadsheet can be a simple device to keep track of everyday tasks Use Checklist Templates & Tools to Prevent Mistakes Use Checklist Templates & Tools to Prevent Mistakes When we're busy or stressed, we quickly forget the basics. This human flaw makes checklists so effective. We show you how you can create your own checklists to save time and money. Read More or it can be turned into a powerful data gathering tool or a filter for charts and pivot tables. No option for either tick box or check box in Google sheets. We have G Suite for Education. Google Suit at work is not showing Tick Box in the Menu ? Is there anything that our Admin has to do ? No...I presume the update is automatic. Is it showing "Checkbox" instead? I love this new update to Sheets! However I would like to know if there is a way to have a counter at the bottom of the check box column to indicate how many boxes have been checked? Hi Sanchita, I think that would need a Google Script. It does not work, you sure it is that formula to count checked boxes?